Every year we are treated (or mistreated, as the case may be) to a wide selection of new surf books. 2016 was no different, with books ranging from the standard coffee table variety, through to epic autobiographies that thrust the reader upon the face of waves as high as apartment blocks. Of course, every year delivers a crop of surfing spirituality, and 2016 was no different. 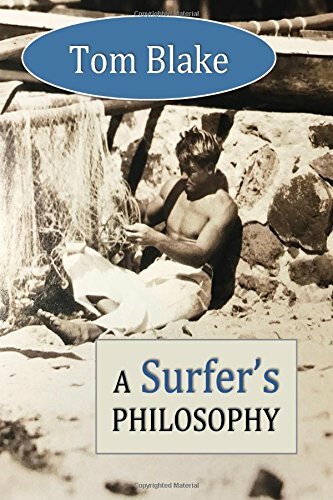 Several books of this ilk didn’t make the cut for our list, but some snuck in and are worth a read for those who enjoy the philosophy of surfing. Unique to 2016 was a book comparing the surfing experience to business. Ditch your dog-eared Art of War, because now you can ride the waves of business to wild success. Below you’ll also find surf books that make perfect gifts, both in the form of charming historical documentaries and a youth story that imparts the wisdom of surfing etiquette. All this and more, in our list of best surf books 2016, starting right here. His descriptions of the complex physics and mysterious beauty of waves drew me in. Most engaging were the first few chapters of his chaotic, wild, free and daring childhood, which most children today can only dream about. It was a real fun, thoughtful and easy read. Buy this book. Garret is a living legend and deserves his revered place in surfing history. The book is arranged into five chronological chapters, tracing surfing culture from the first recorded European contact in 1778 by Captain James Cook to the global and multi-platform phenomenon of today. Utilizing institutions, collections, and photographic archives from around the world, and with accompanying essays by the world s top surf journalists, it celebrates the sport on and off the water, as a community of 20 million practitioners and countless more devotees, and as a leading influence on fashion, film, art, and music. 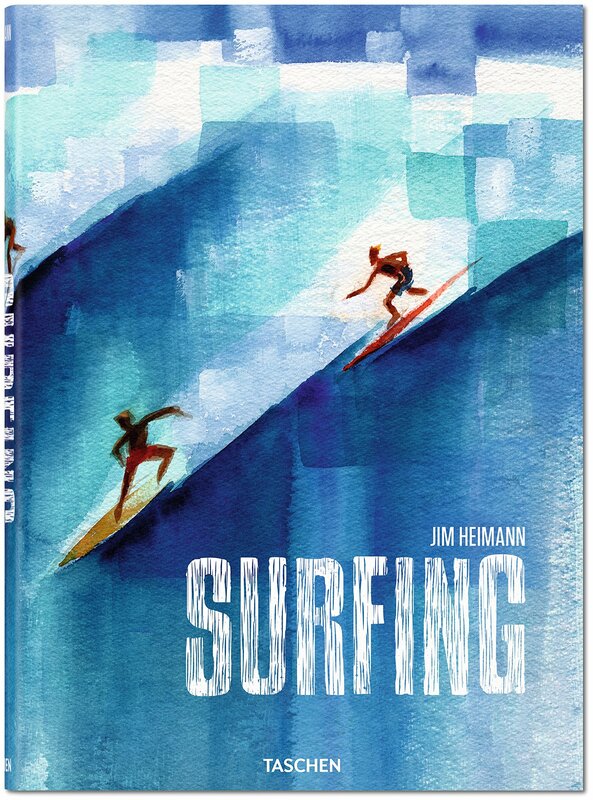 An unrivaled tribute to the breadth, complexity, and richness of surfing, this book is a must-have for any serious player on the surfing scene and anybody who aspires to the surfing lifestyle. As one surfing scribe has declared There has never been a book like this, and there will never be another one again. It has everything from rare Honolulu prints and posters of the early 20th century to movie posters, magazine covers, advertising, psychedelia, a full spread from “Apocalypse Now” with another apocalyptic spread of Huntington Beach burning in a riot. 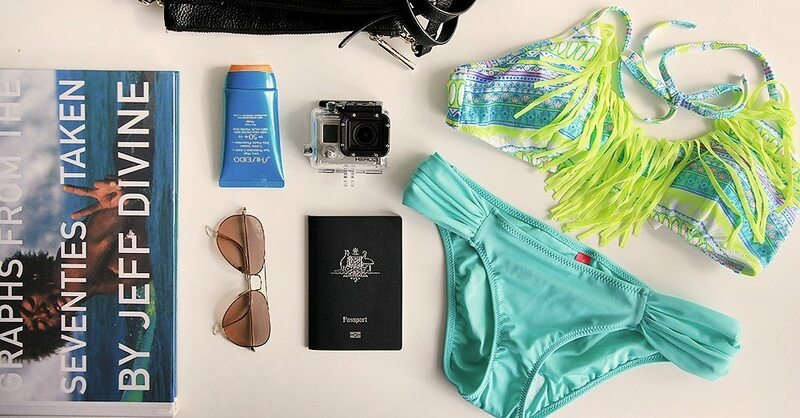 Perfect for those who love surfing’s finer details. If you are mad collector of surfing memorabilia then in these pages lies your Nirvana. Salt & Silver is the first book to blend traveling, surfing, and the food cultures of Central and South America together through the travel stories of two young, adventuresome guys. 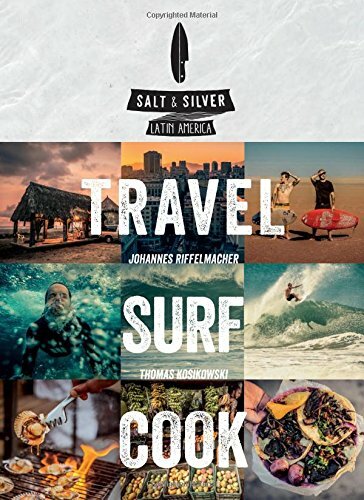 Salt & Silver traces the journey of Johannes Riffelmacher and Thomas Kosikowski as they travel through Central and South America—reporting on all the best surfing locations, chronicling the stories of local surfers and restaurant owners, and compiling recipes representative of each area. The narrative begins in Cuba with beautiful images of the city and the beaches, as well as stories related to the Cuban surfing community and a discussion of popular Cuban dishes. This is the most beautiful book I think I’ve ever seen. The photography is just super. More than just tacos and surfing, this is a story of a journey where love and nurture overlap. The perfect gift for a beach house family, or perhaps for your better half if you’re keen on some new cuisine. We love surf recipes, so long may Johannes and Thomas continue on their adventures! 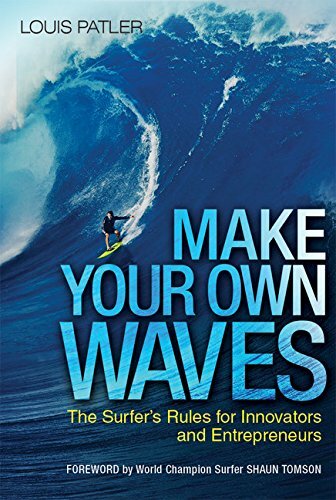 Within a month of publication, Make Your Own Waves was named the NASDAQ Book of the Month and also was the #1 new release in surfing books on Amazon.com. Yes, you read that correctly…accolades came from both the business and the surfing world. Here’s why. Like the ocean, the marketplace constantly changes and today’s cresting reward becomes tomorrow’s crashing risk. Louis Patler, one of the foremost authorities on innovation, explores why 8 out of 10 business ventures fail and offers lessons learned from elite athletes that apply to business. In this book, Louis Patler offers the Surfer’s Rules, 10 lessons in conventional wisdom “that will serve as a guide to anyone seeking to be a successful entrepreneur.” Whatever the number and nature of the appropriate lessons may be, the fact remains that peak performance requires “planning, preparation, and passion” to contend with the waves encountered but also the ability to create one’s own waves with which others must contend. Great metaphors, reminiscent of Surfing Life Waves by Bradley Hook, but angled at business people. Invaluable for anyone who enjoys using nature as inspiration for life. here’s much more to surfing than palm trees and beach boy clichés. People surf not only in Hawaii, but also in Norway, South Korea, and India. 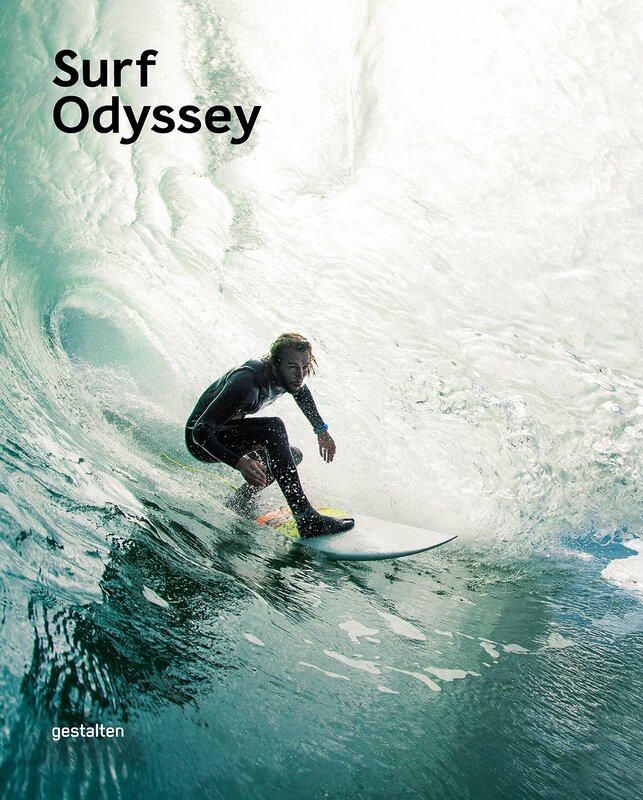 Surf Odyssey is a book about the world of surfing today and those that live in it. This community is made up of the surfers themselves as well as surf photographers and board builders who are also spreading its distinctive spirit into other creative fields. Comparable to the new outdoor movement, today’s surfing is about an attitude toward life, a lust for adventure, and a love of nature that one can only find far away from established spots. Surf Odyssey presents this scene’s places, people, stories, and brands. Its stunning photography is sure to inspire many further surfing exploits. Great collection of content about esoteric surfers and wave riding. Not your typical action shots seen in sport magazines, this book chronicles various big personalites in surfing and focuses more on the lifestyle of these individuals. More than a coffee table book, this is an artistic voyage into surfing culture. It’ll thrust you into worlds you might not have imagined, then make you want to set off on a surf voyage of your own. Surfing has become one of the most popular recreational and competitive water sports. For many, it is a way of life, but how was it discovered? No one knows who first rode a wave simply for the pleasure of it. It could have been Stone Age fisherman on a log raft or in a dugout canoe, and it could have happened anywhere in the world where humans engaged the ocean. Perhaps it was a swimmer. There are Egyptian cave drawings of swimmers dating back 10,000 years. Similar representations have been found in places ranging from Mesopotamia to Mexico. The first recreational surfer could have been bodysurfing a wave, thrilled by the experience and swimming out to do it again, or a swimmer clutching to a piece of driftwood and using it to plane on the surface of a breaker. There are no recorded descriptions that can confirm any of this. There are however, several later observations that clearly describe the independent development of wave riding in very distant parts of the globe. Joel has written a wonderful and sensitive book about the history of surfing around the world, filled with colorful characters and tender moments in the global tribe of surfers, now numbering an estimated 20 million globally. 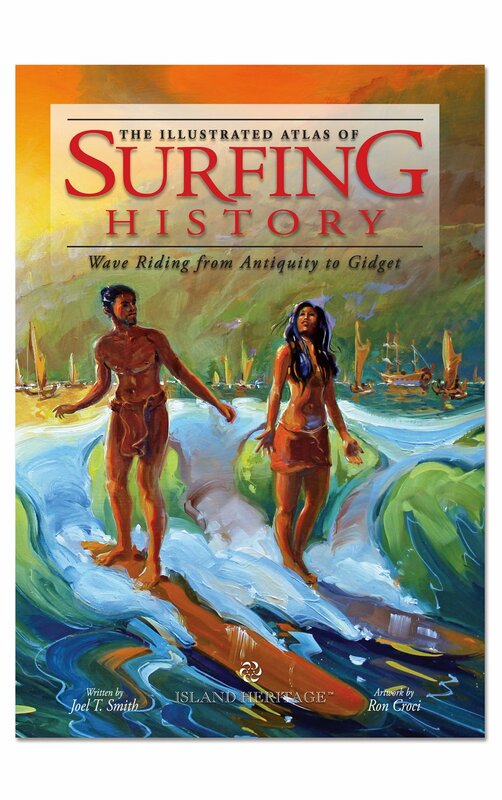 It begins with an introduction and is divided chronologically into eight chapters, from the dim mists of antiquity, thru the Polynesians, to the global uptake of surfing by the world, its resurgence, its golden age, to the modern era, and ending with a chapter on surf culture. A wonderful book, nostalgic, sentimental, timeless and insightful. Tom Blake changed the face of surfing and has long been lauded as one of the true pioneers and innovators in the sport. Although much has been written about him and his contributions (culminating in Gary Lynch’s magisterial biography of him, Tom Blake: The Uncommon Journey of a Pioneer Waterman, published in 2001), very little work has been done on Tom Blake’s Einsteinian philosophy. This is a shame, since though Blake was not formally educated (he never graduated high school due to the devastating influenza epidemic that swept the world in 1918 and 1919), he was an astute observer of nature and had a deep understanding of science and its implications on such perennial questions concerning ethics, God, and the goal of human life. The essence of Tom Blake’s philosophical outlook is best captured in his book, Voice of the Atom, an engaging narrative that centers on his conversations with a young nomadic wanderer named Anthony. Yet, there are also other scattered writings, particularly letters that he wrote to friends over the years, that provide a wider glimpse into Blake’s thinking that are invaluable. Tom Blake was not a man of many words, but what he did write, occasionally in terse and epigrammatic phrases, are pregnant with meaning. 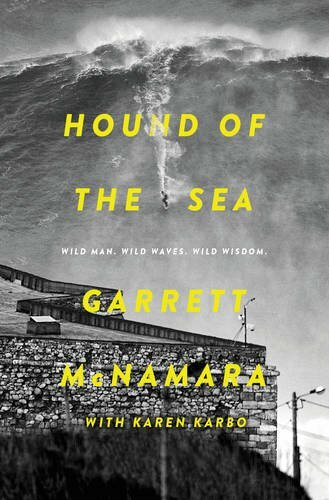 Great insights into one of surfing’s enigmatic pioneers. Discover what a true innovator thought about and where he went in this biography. New York surfing is mad. Breaks are hard to access, waves are inconsistent, winter (which produces the best waves) is brutal. You might risk almost anything just so you don t hear those famous words, You should have been here an hour ago. Follow dedicated wave hunters to the end of the A-train and beyond and peek into this passionate way of life through authentic photography and several surfers personal journeys. Discover what it takes to brave the cold Atlantic Ocean and get a fresh insight on the Big Apple s hidden surf subculture. An adventurous photographer has developed relationships with local surfers, absorbed scarcely available knowledge about the ocean and climate, and placed herself in these elements without reservation. To respect the locals and their underground culture, there is no mention of where the specific action takes place. Locations may include Rockaway, Montauk, Long Beach, Lido Beach, and Northern New Jersey. Surfers everywhere will delight in Waters’s pictures and descriptions of NYC surfing. I’m guess Rockaway Beach is not destined to become a mecca for surfers from around the world, but those NYC surfers who lug their boards on the subway in the middle of winter in hopes of catching some waves know there’s something special in NYC. Weird and wonderful. A good read for those who live in NYC, or enjoy reading about unlikely surf microcosms. “Surfing is more than standing up on a surfboard. It is, I believe, the language of ‘Oceanspeak’; of feet on waves, of heart in sky, of breath and body in synch with Mother Nature. 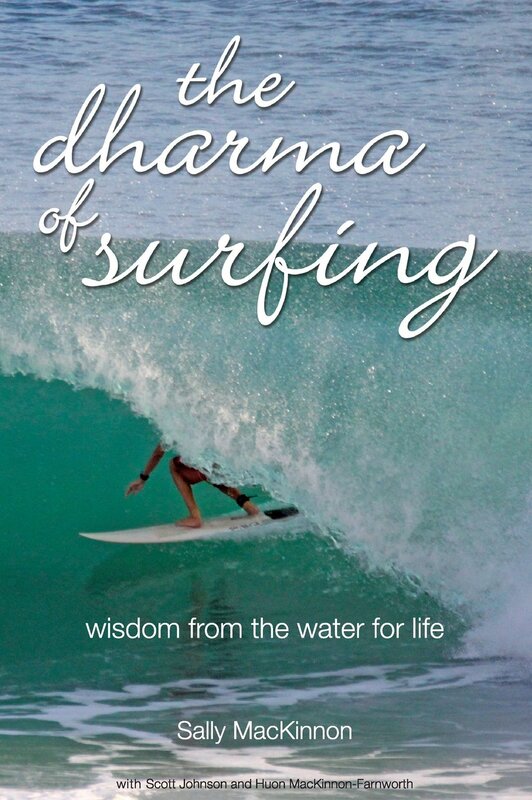 “the dharma of surfing” is a coffee table book collection of 52 wisdoms and photographs for surfing and for life. They have emerged from the water-based experiences of surf, yoga and fitness instructor Sally MacKinnon, sailor and surfer Scott Johnson and educator Huon MacKinnon-Farnworth. Surfing and spirituality go together like tofu and mung beans (or chicken and chips). Enjoy a journey into the esoteric with wisdom and photographs that will brighten up any coffee table. 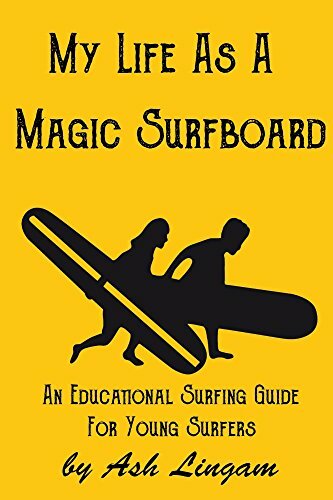 This is an educational book for young surfers. Included are terms, rules, illustrations and surfing etiquette. This is about Style. A surfboard blank that was shaped and glassed in a Soul Surfers factory and was adopted by a young man named Kai. It is about their life, living in his VW van with his girlfriend Sandy and how their surfboards became Magic Boards. I believe this book is targeted to kids but I am a 72 year old how found it very good. I think anyone new or contemplating starting to surf would find this one delightful. It is quick read with a nice ending. I will be looking more to more of this type of books from the author. An excellent gift for the grommets in your life. SURF LESSONS is a new book from author and longtime East Coast surfer Earl Shores. Stories of the mid-Atlantic, the Outer Banks, and more. Put your toes in the sand and the wax in your hand as you drop into the pages of this vibrant set of surf stories from Earl Shores. It’s a Top 20 of his best work, including favorites from his early days with Eastern Surf Magazine. And it’s one of the few surf books ever written from a purely East Coast perspective. That means SURF LESSONS isn’t full of heroic gnarly surf dudes trekking the globe for perfect waves. Instead, Shores aims his focus on the ordinary moments of the surfing experience. After putting the reader in his “regular guy” flip-flops, he never fails to capture the passion that inspires surfers to rise before dawn to catch the uncrowded early morning calm. 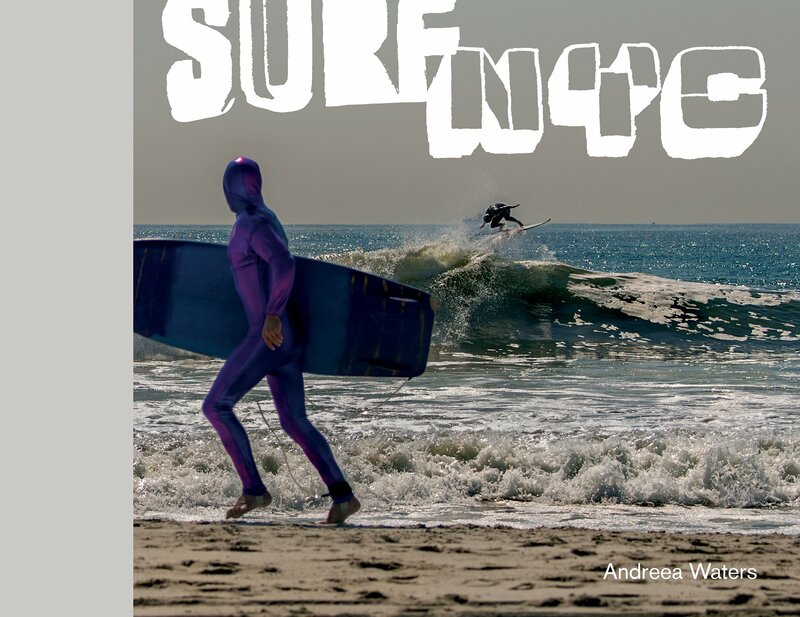 This book is for east coast, west coast and international surfers… and even the non-surfer. No one who picks it up will regret it, but rather be challenged to get down to a shore where the waves are breaking… where they’re “calling”. An insightful glimpse into surfing life on the East Coast of the United States. Going Surfin’ is a collection of stories from some of surfing’s most compelling surfers from the 1950’s-1970’s. A rare and personal glimpse into a unique period of surfing and its people that was captured on film by the father of the surf film genre Bud Browne, these stories reveal the interwoven friendships and experiences formed in another place and time that is now called, The Golden Period. Disappointedly thin volume of stories (some of them repeated almost verbatim in different chapters), with almost no “stories” told by the “friends” of Bud Browne. Instead we have mostly a collection of the author’s vague recollections about them. 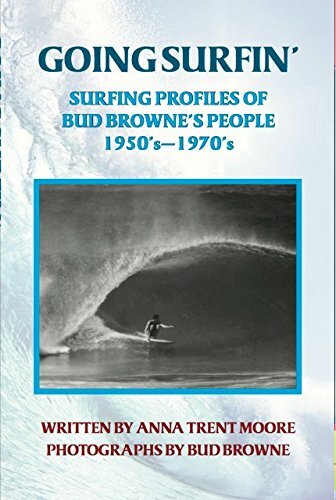 For those with an interest in The Golden Period this book may rekindle memories of Bud Browne and those involved in one of surfing’s most transformative eras. Did we miss any books? Let us know! You missed my novel, Native Moments. A surf adventure set in Costa Rica. It was published September 2016.